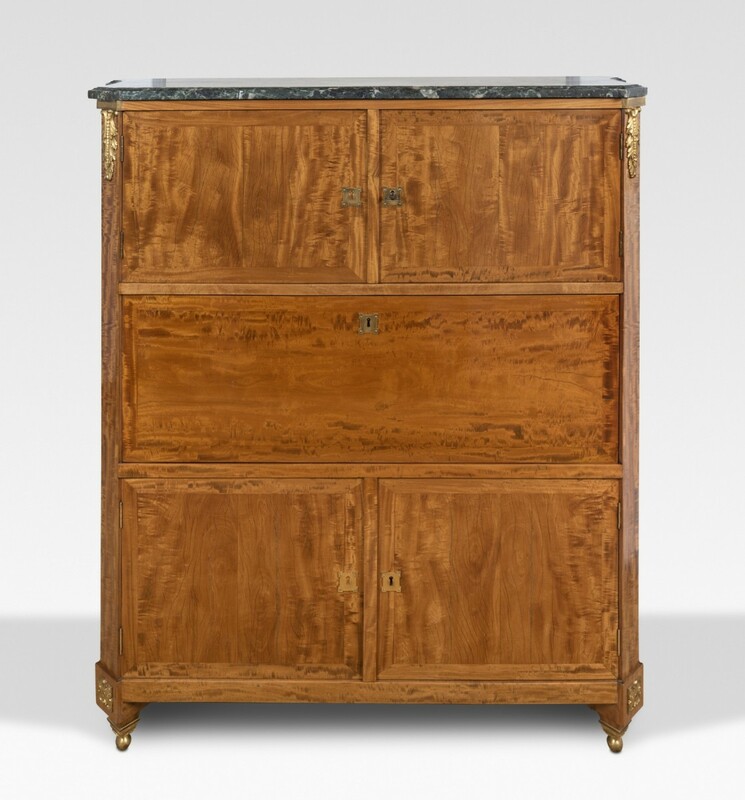 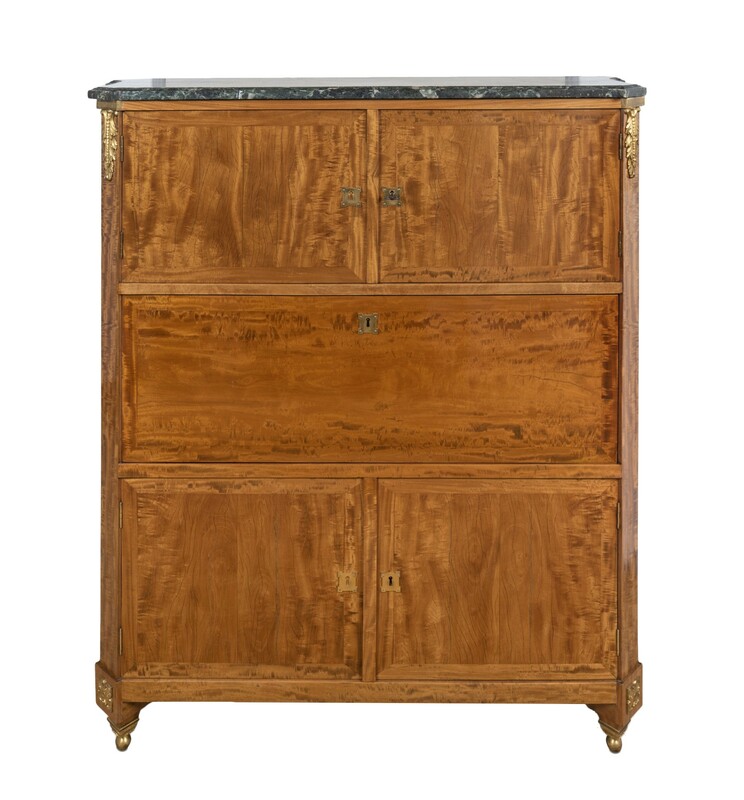 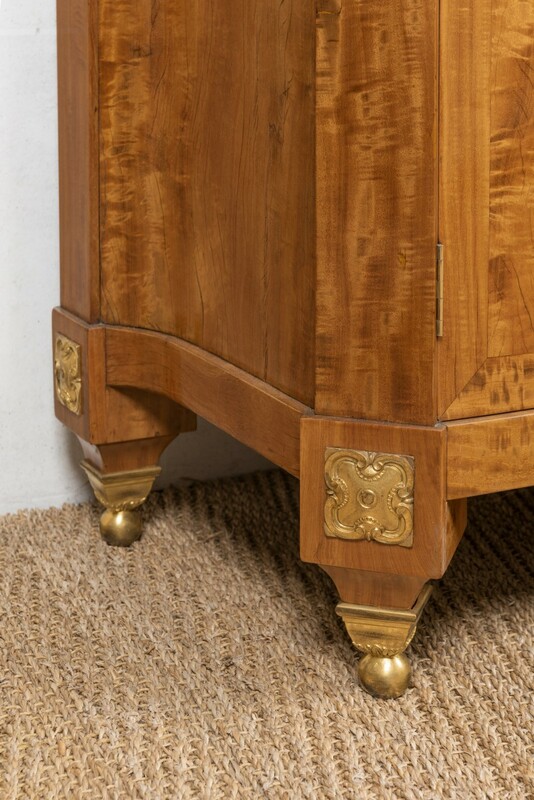 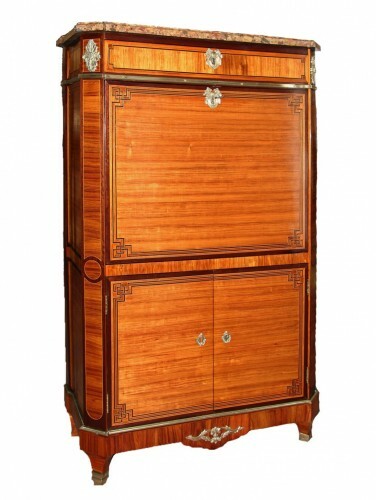 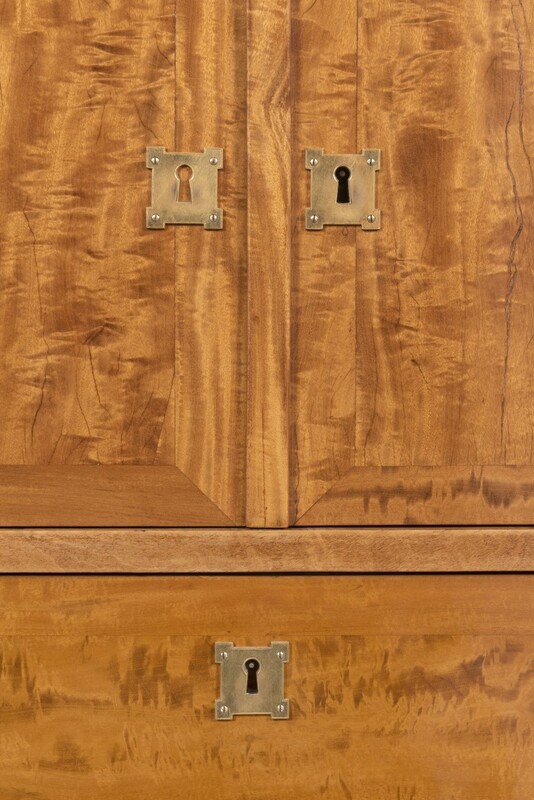 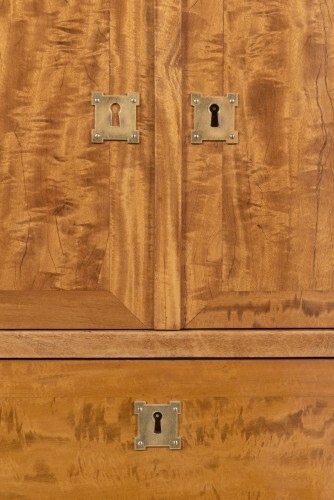 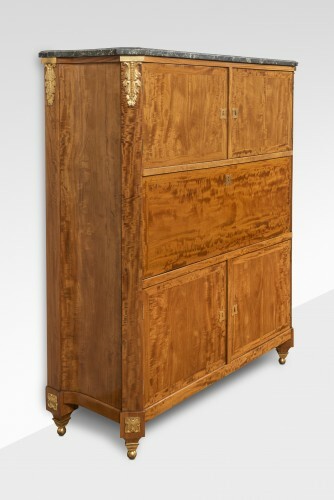 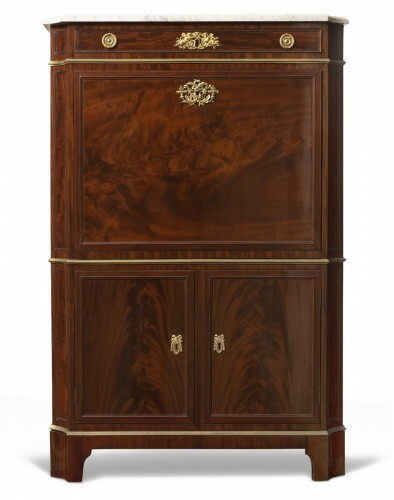 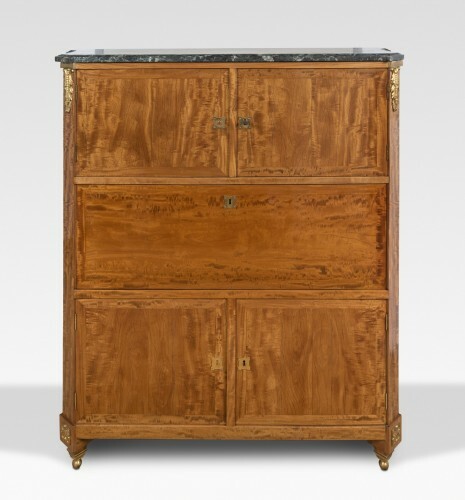 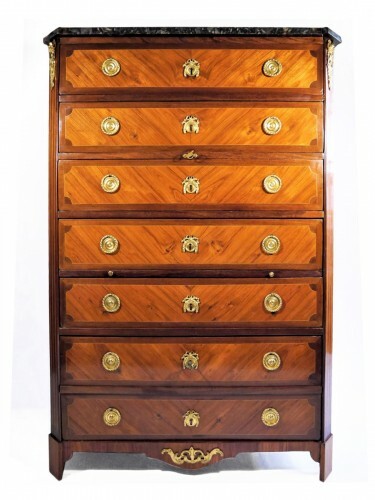 Large secretaire with flap in satinwood, curved sides, facade opening with four leaves and flap revealing eight drawers and compartment, uprights with cutaway resting on feet in sheath ended by spheres; fire mark ASSNAT of the lAssemblée Nationale. 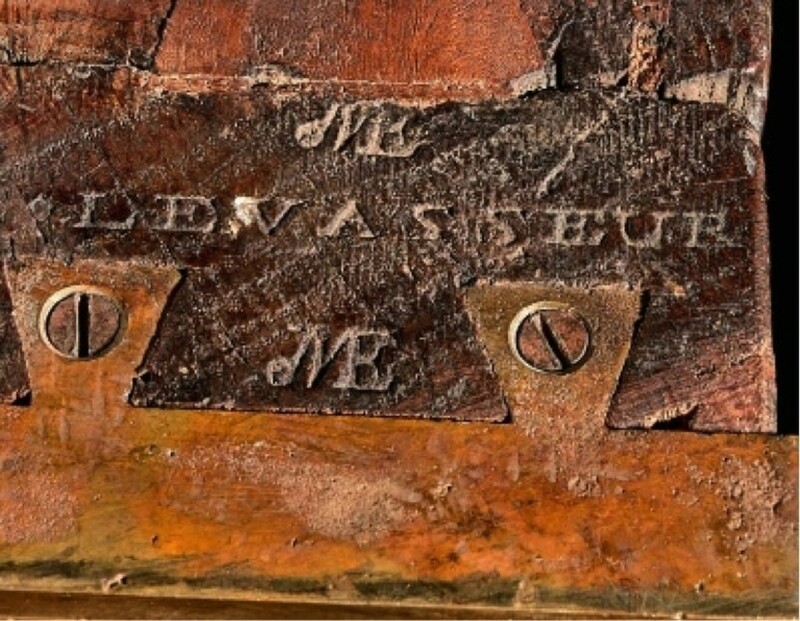 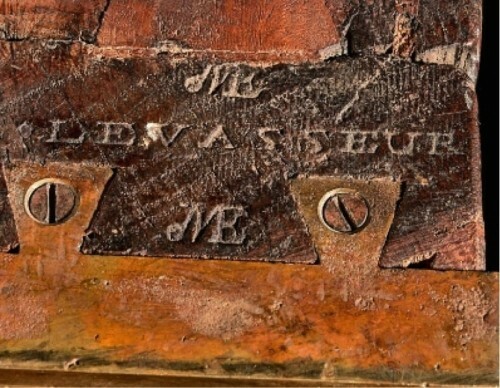 Stamp of Etienne Levasseur and JME, cabinetmaker received master in 1766. 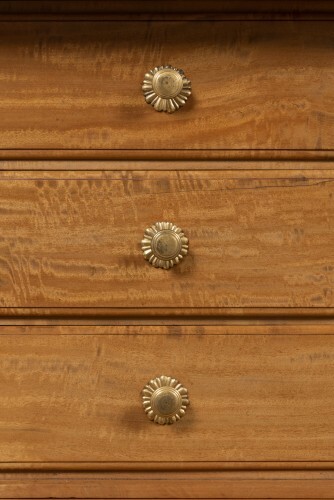 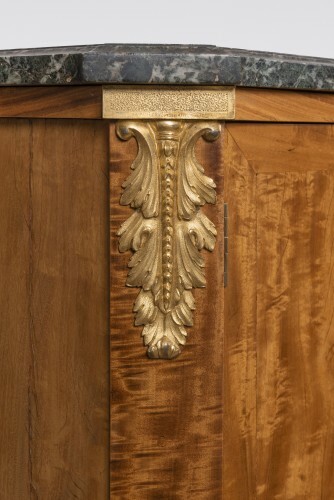 Assemblée Nationale around 1789.This secretaire is part of a series of furniture bearing the mark ASSNAT and from the l’Assemblée Nationale, established in l’Assemblée Nationale Constituante in 1789. 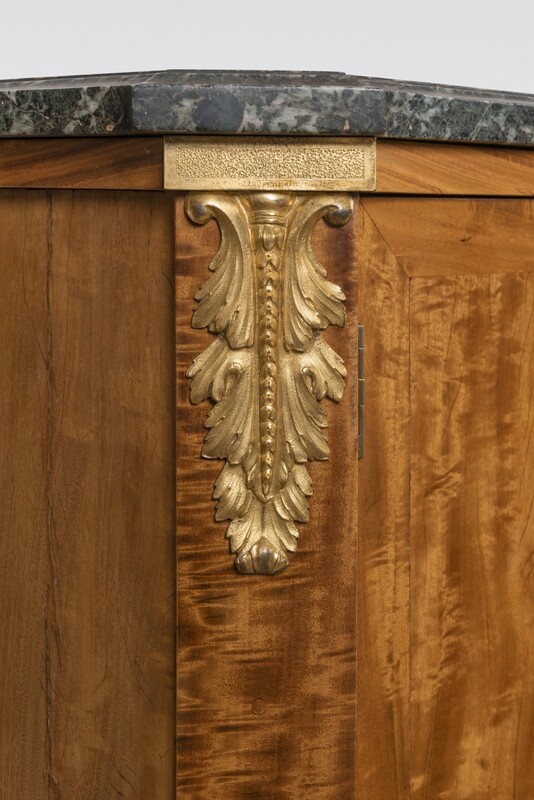 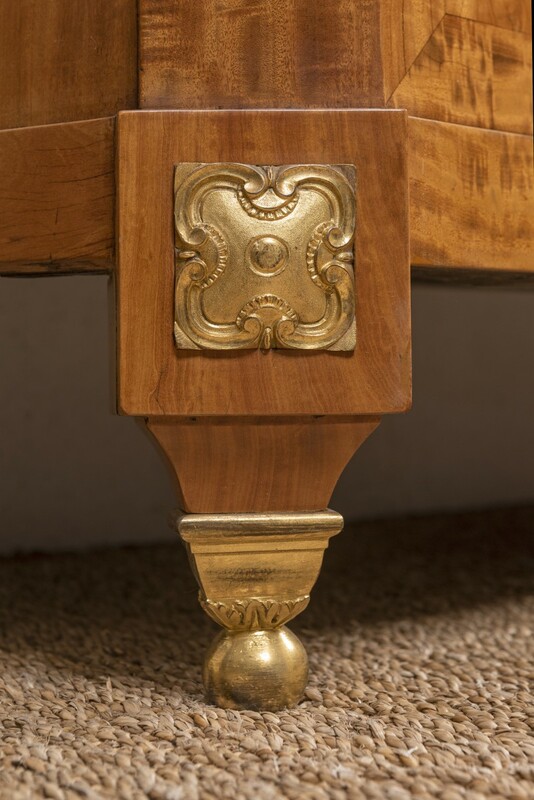 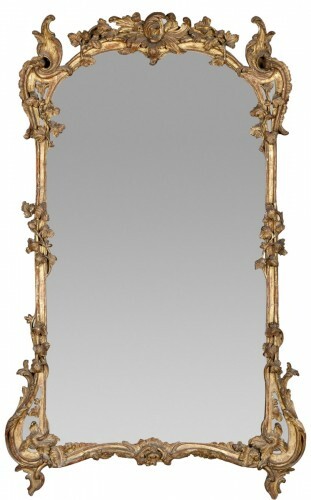 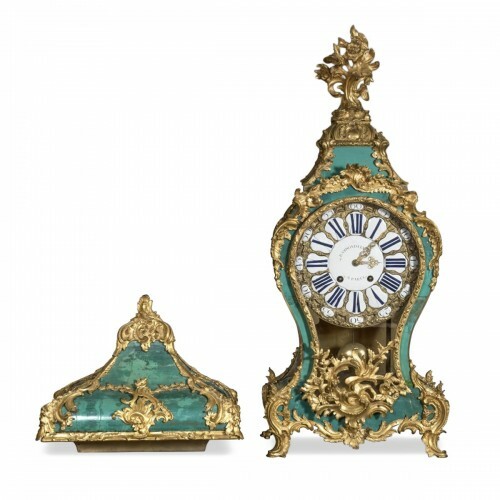 This new assembly is initially forced to furnish with the help of the Garde-meuble royal in which she selects a number of pieces of furniture and then also makes several orders, notably for the seats, to the carpenter Georges Jacob.